JG Thirlwell will being making an exclusive appearance at a benefit for the NY Film Makers Cooperative on November 19 at Santos Party House. Also on the bill are Philip Glass, Bruce McClure, MV Carbon, Jonas Mekas, Optipus, Bill Morrison, Lary Seven, The Uzipisians, Zero Times Everything and Victoria Keddie/Rose Kallal . 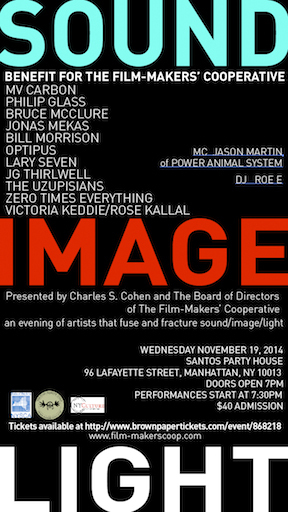 The evening is billed as “an evening of artists that fuse and fracture sound/image/light”. Tickets are available here.